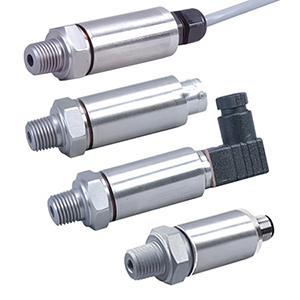 OMEGA’s PX309 Series models below 100 psi use a high accuracy silicon sensor protected by an oil-filled stainless steel diaphragm. Units 100 psi and above use silicon strain gages molecularly bonded to the stainless steel diaphragm. We provide a complete range of services—from product inception, through design and prototypes, to manufacturing and testing. Our application engineers work closely with our customers to customize, design or create entirely new products. Call us—whether you’re an OEM, manufacturer, or end user. The PX309 is also available in Metric configurations; please see the PXM309 for complete details, or contact our Pressure department for more information.